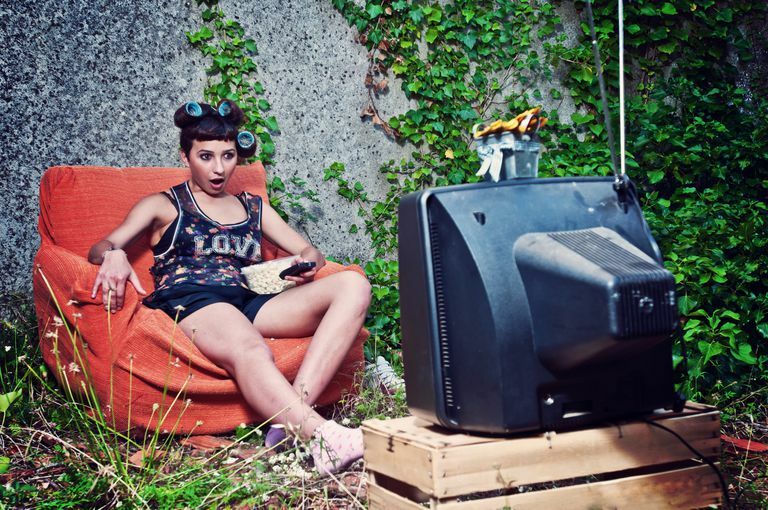 Social TV: Is It Still a Thing? Social TV, also known as social television, was an emerging communication technology that was in the early stages of transforming the industries of television and entertainment, but never took off. Social TV refers to real-time communication and interactivity involving shows on television or online TV and other content displayed on televisions. It was a combination of TV and social networking. Social television is the latest evolution of interactive TV. Both attempt to make the television experience more participatory. Smart TV is a related popular phrase that refers to TV sets and related devices that achieve the same goal. The phrase smart TV typically is used to focus more on hardware devices than the resulting viewing experience. The core idea behind today's social TV movement was the core idea behind years of largely unsuccessful development of interactive television--to make television a more active experience for audiences, rather than the passive viewing experience it was for more than half a century. Both social and interactive TV seek to let people talk back to and interact with their TV sets the way they do with their computers, so television watching becomes more participatory. Social TV goes a step further and lets viewers interact with other TV viewers watching in different homes. This social overlay on TV is a natural part of the Internet converging with TV. Much as the Internet made all electronic communication more social as it converged with computers. Now the Internet is doing the same to TV as it converges with the technologies involved in transmitting TV shows and Internet video. This convergence is a two-way phenomenon. Not only will TV be transformed, but online video will, too. As TV shows move onto the Internet, the online TV viewing experience at popular online TV sites like Hulu likely will grow even more social than it has been at user video-sharing sites like YouTube. But for now, a key trend in social TV boils down to this: Innovators are exploring ways to plug social networking into TV so people watching in their homes can communicate electronically with friends and strangers watching the same shows. GetGlue was the poster child for social TV innovation in 2012, illustrating how a social TV innovator can gain traction fairly quickly. Of course, its fate changed quickly, in 2014 it changed into TVtag and then shut down entirely within a year. GetGlue was an application that let TV watchers check into TV shows they were watching, much like the mobile app Foursquare lets cell phone users check into places they're visiting. The idea, as with most social TV apps, is to let people connect with others who like the same shows. GetGlue was expanded beyond TV to let people check into other media, too, such as music. If you consider the most basic meaning of social TV--connecting people around their TV sets and favorite shows--then the application that really fueled social television in 2011 was Twitter. After millions of people started tweeting on their laptops and cell phones while they were watching TV, the major networks started encouraging the trend by displaying tweets on screen during live broadcasts. Networks and TV hosts also started communicating with viewers through Twitter in between shows as well as during live broadcasts. The X Factor, in particular, made Twitter a key character by having the singing contest judges incessantly talk about tweets and by allowing users to tweet their votes for the singing contest. Twitter as a communication channel for TV works well because it does not require much technical integration into any television transmission systems; tweets become a companion communication channel that people can use on their phones, tablets, and laptops. All kinds of other more ambitious, experimental social TV platforms are in progress. Some are hardware-based with lots of software overlays. Google TV, for example, is an ambitious example of a Smart TV system designed to eventually allow social communication around TV shows and Internet videos. It debuted in 2010 but has largely been regarded by reviewers as disappointing and has not gained widespread adoption. Another example announced in 2011 was Youtoo TV, a rebranded TV network that integrated social media. It's a good clue that an area of social media is trendy and hot whenever a bevy of startups suddenly appear devoted to measuring its impact. That is what happened with social TV in 2012--a bunch of new companies tried to figure out the impact of all these emerging social TV apps on audiences and TV networks by measuring exactly how people were using them.